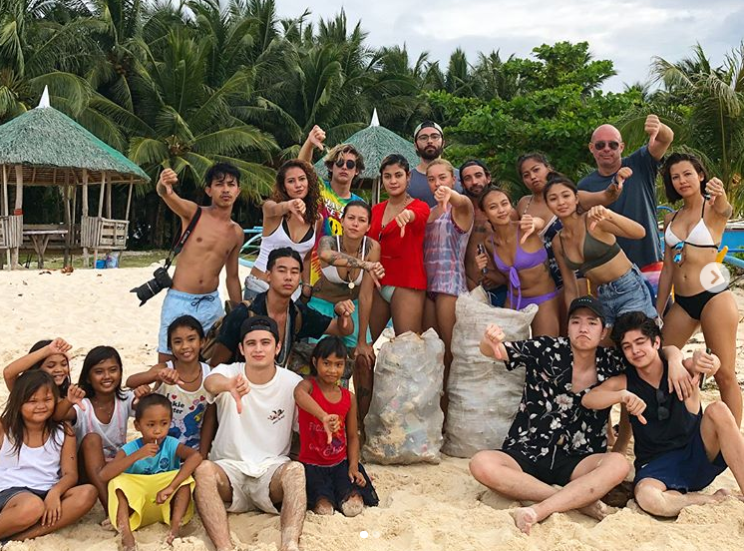 Despite of the universal campaign about waste management and literacy to protect the environment, still there are some who doesn't bother about the environment.This year people started to voice out and became more proactive by educating people, and one of those is the actress Nadine Lustre. 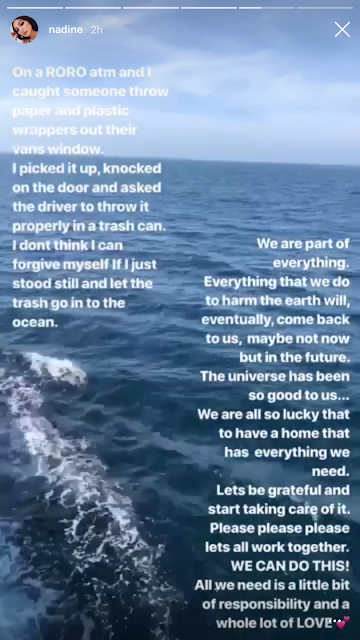 Recently, Nadine shared an Instagram story in which she wrote about a driver who tried to dispose trash by throwing outside his van. What she did was, she picked up the garbage and knocked the van - told the driver to throw it properly. "On a RoRo atm (at the moment) and I caught someone throw paper and plastic wrappers out of their van's window. I picked it up, knocked on the door and asked the driver to throw it properly in a trash can. I don't think I can forgive myself if I just stood still and let the trash go into the ocean," she wrote. 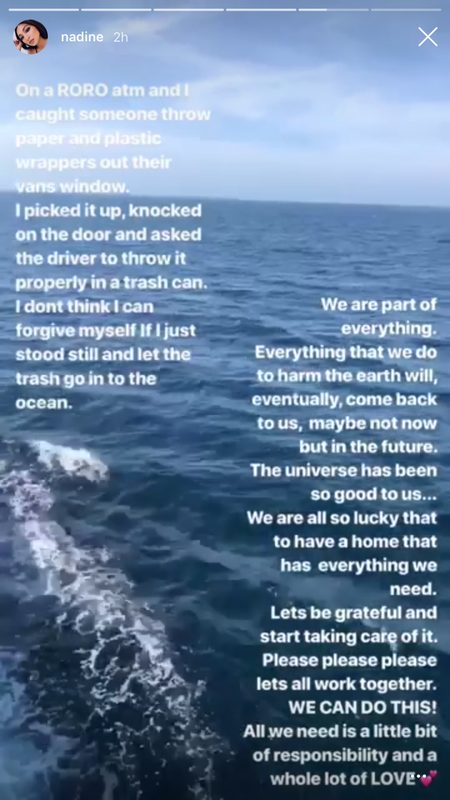 The 25-year-old actress reminded her followers to do their part in saving the environment, as she said that whatever we throw out will eventually come back to us. “We are part of everything. Everything that we do to harm the Earth will, eventually, come back to us maybe not now but in the future. The universe has been good to us….We are all so lucky to have a home that has everything we need. Let’s be grateful and start taking care of it. Please, please, please let’s all work together. We can do this! All we need is a little bit of responsibility and a whole lot of LOVE,” she added.